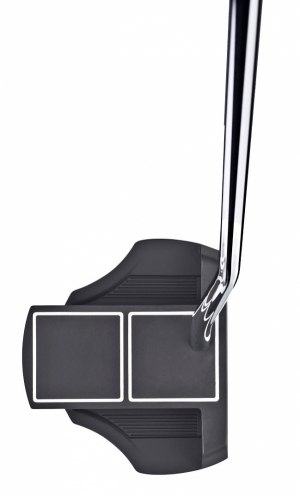 Gain confidence on the green with the Cleveland Smart Square Putter thanks to the dual axis alignment which helps offer instant feedback when the putter is mis-aligned at address. 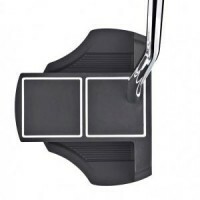 The result is a faster and more reliable alignment on every putt. Two parallel lines extend from the center of the face to frame the ball perfectly down the line, and two perpendicular lines offer instant feedback when the putter is misaligned at adress. The result is a faster, more reliable alignment. Copolymer face insert enhance feel and sound at impact and promotes a consistent roll for more predictable distance control. Advanced head design maximizes Moment Of Inertia (MOI) for minimal distance loss on off-center hits.